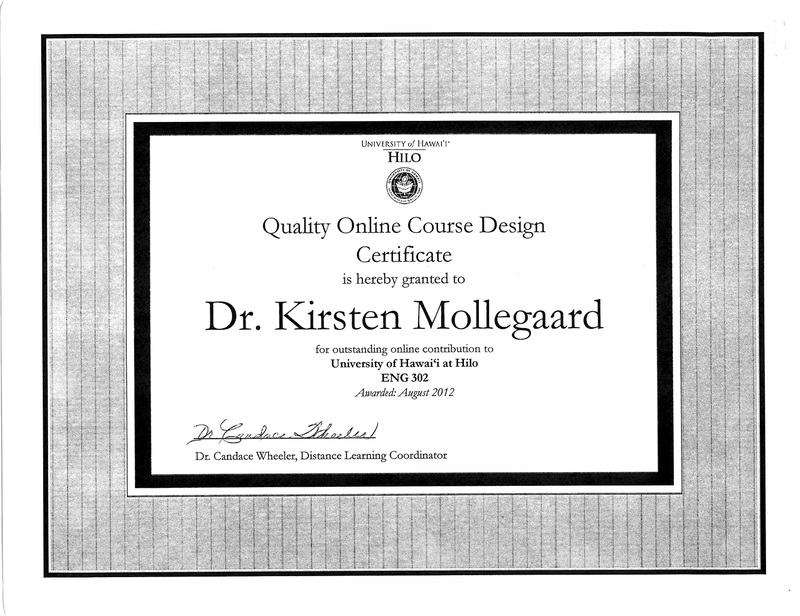 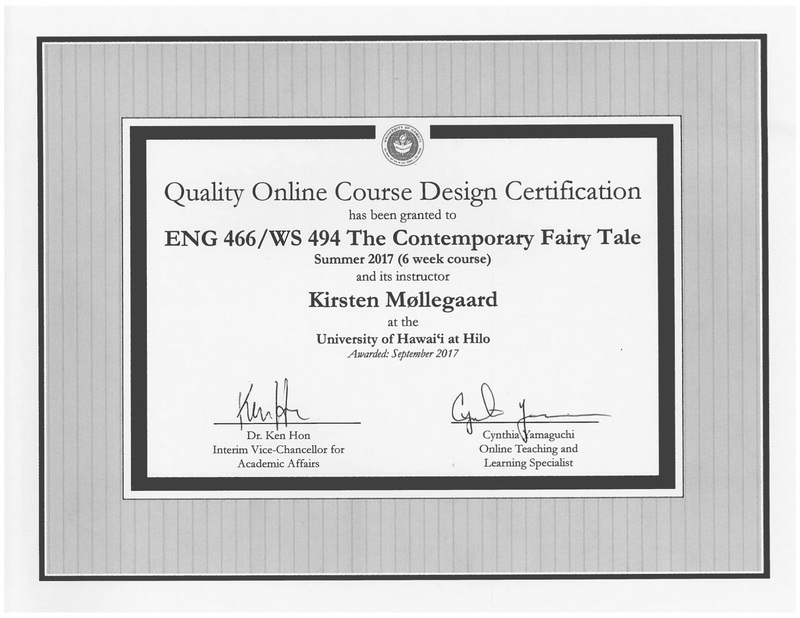 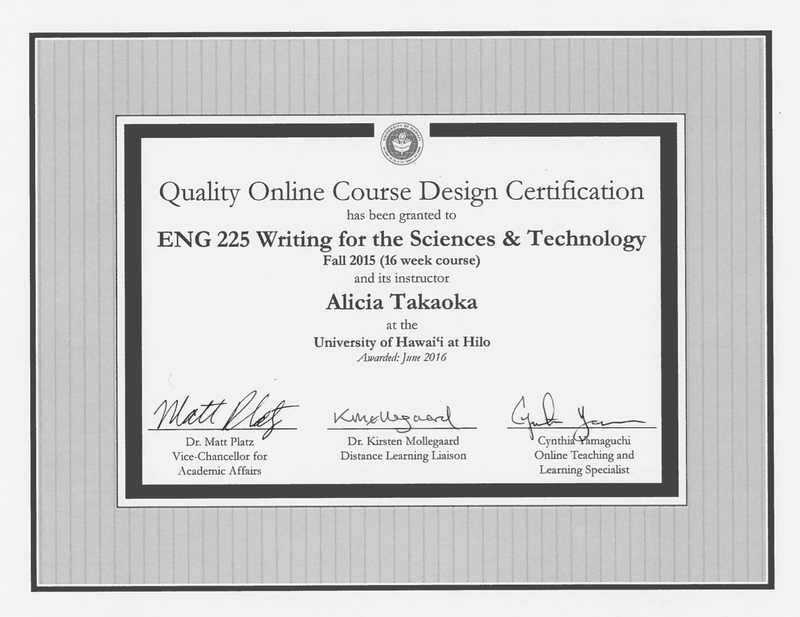 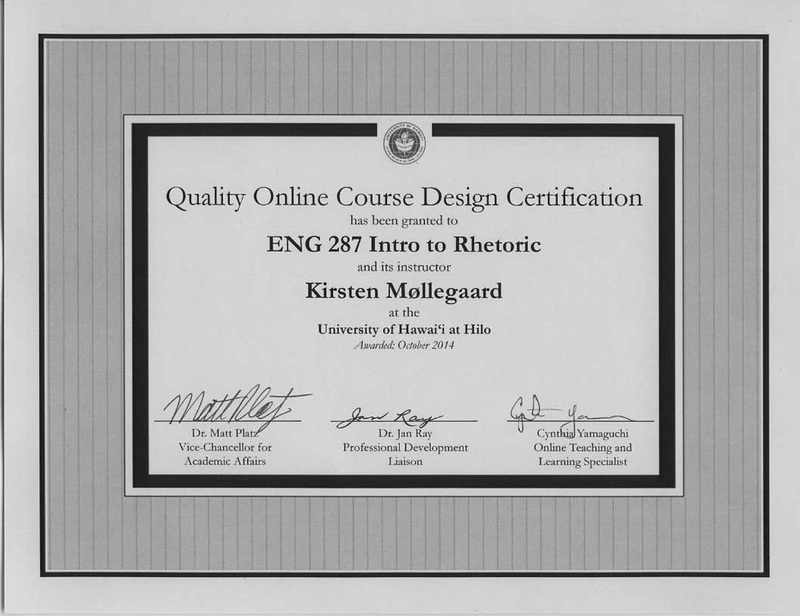 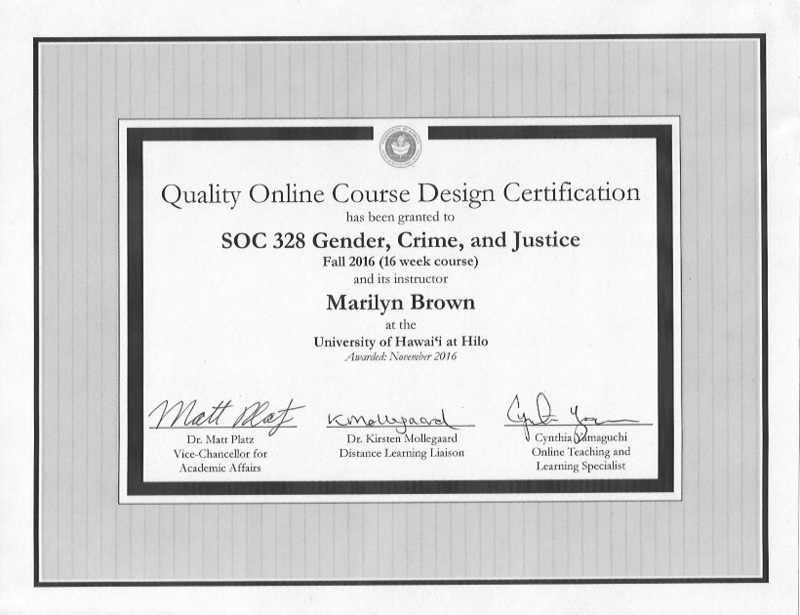 The University of Hawaii at Hilo's goal is to assure the high quality and integrity of all online courses and to meet accreditation standards for our online programs. 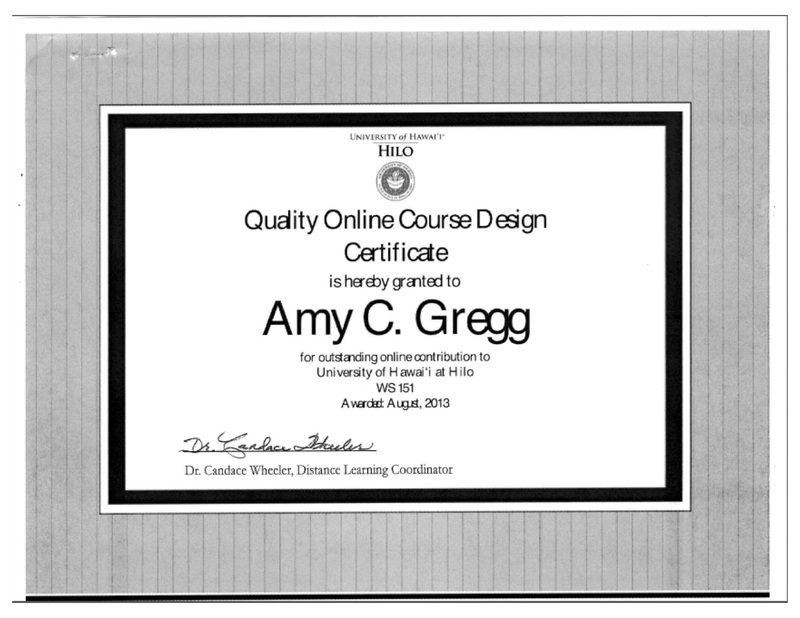 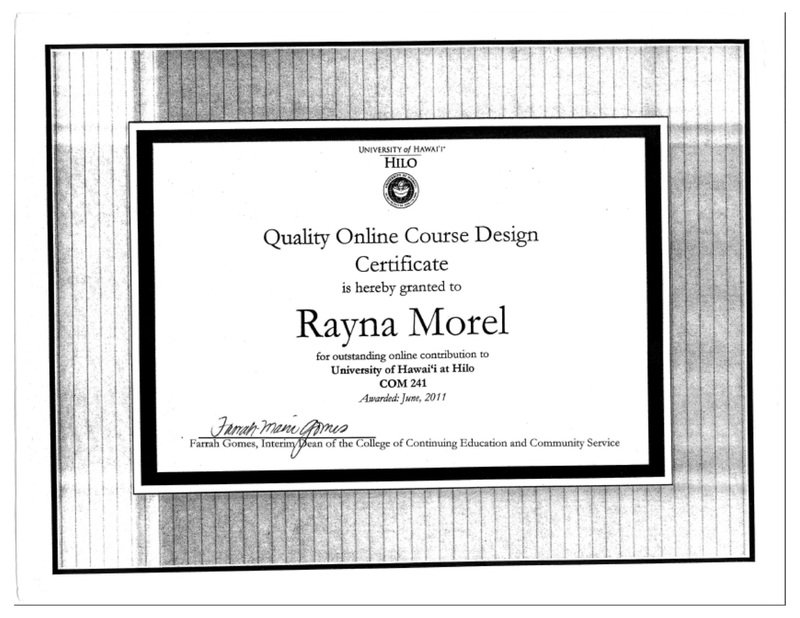 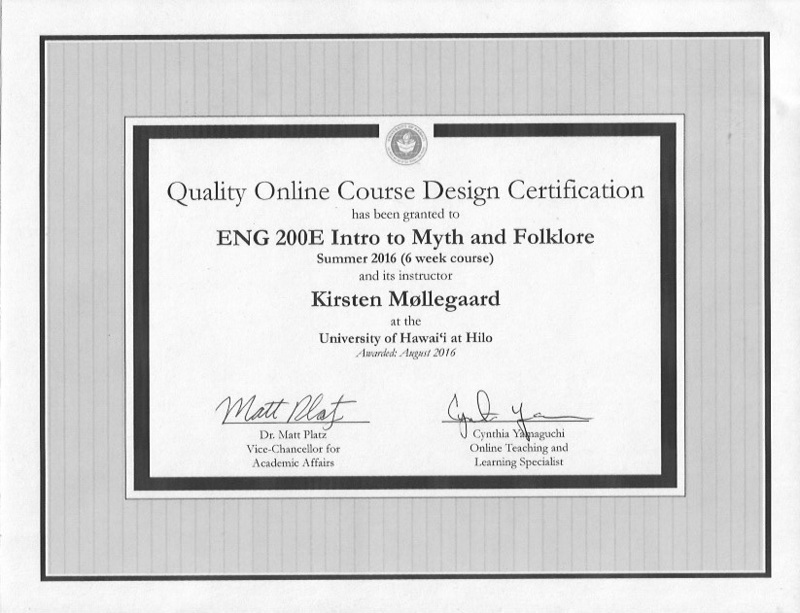 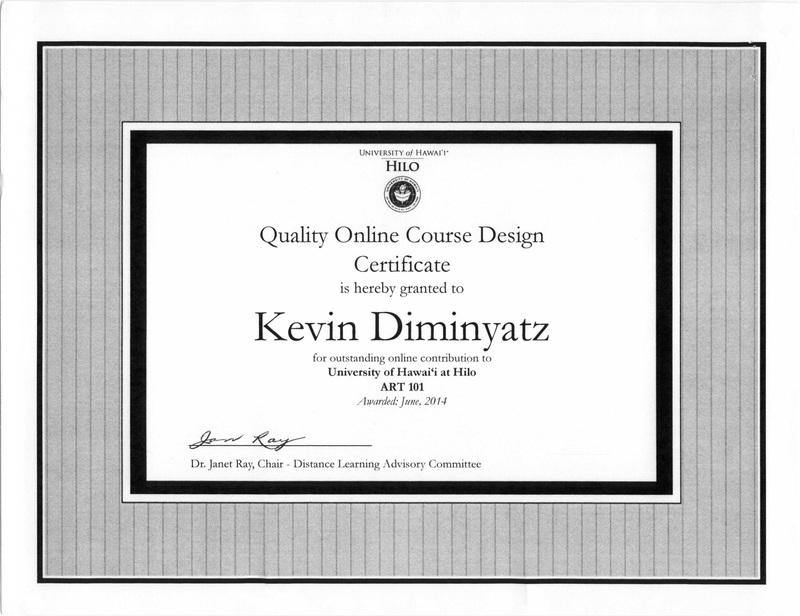 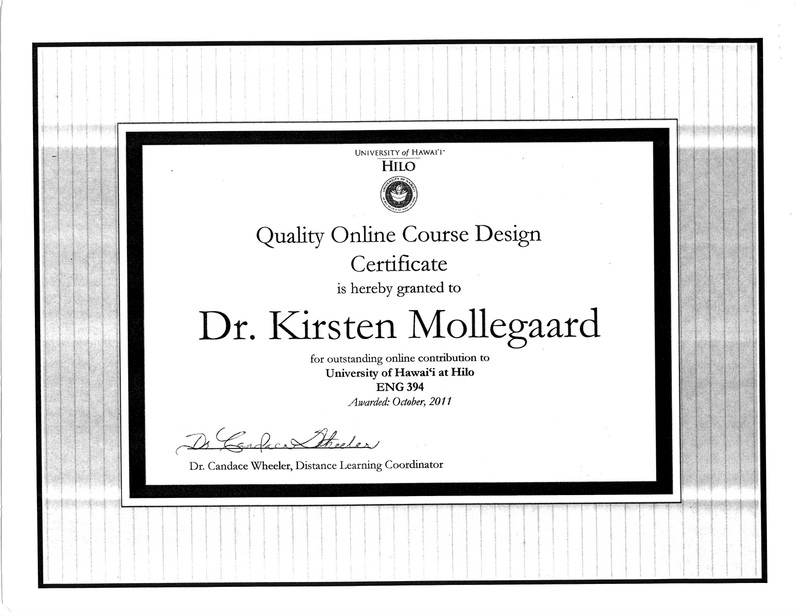 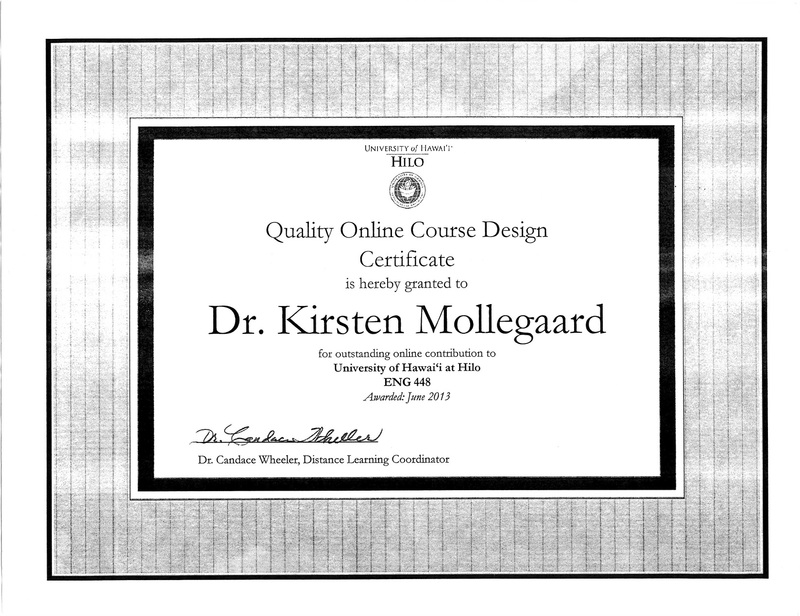 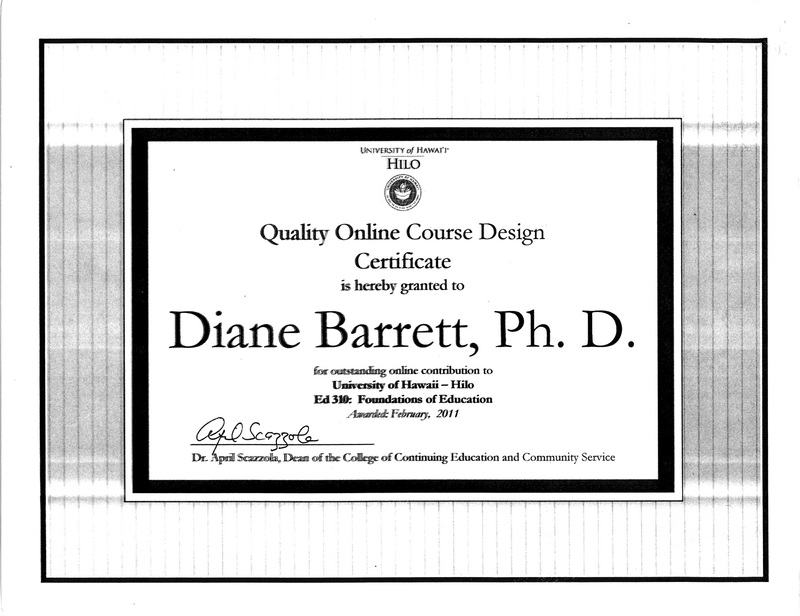 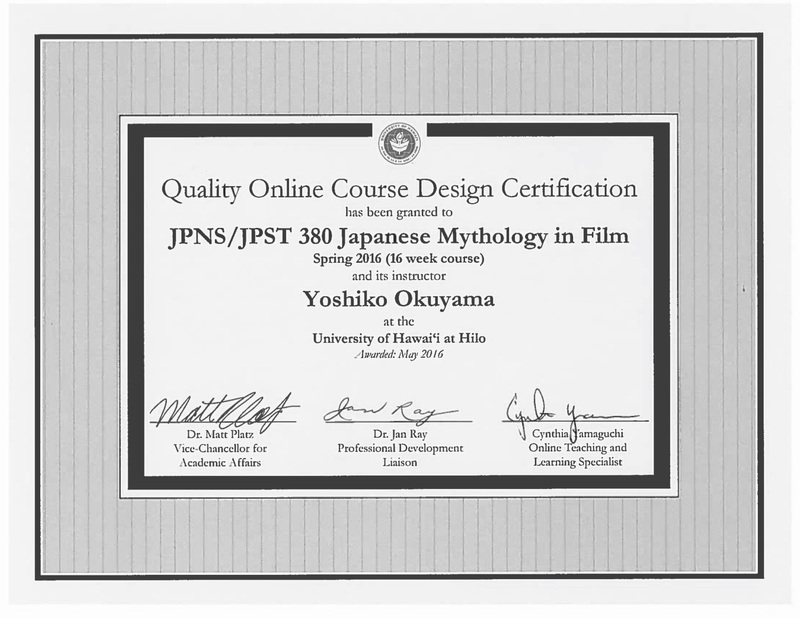 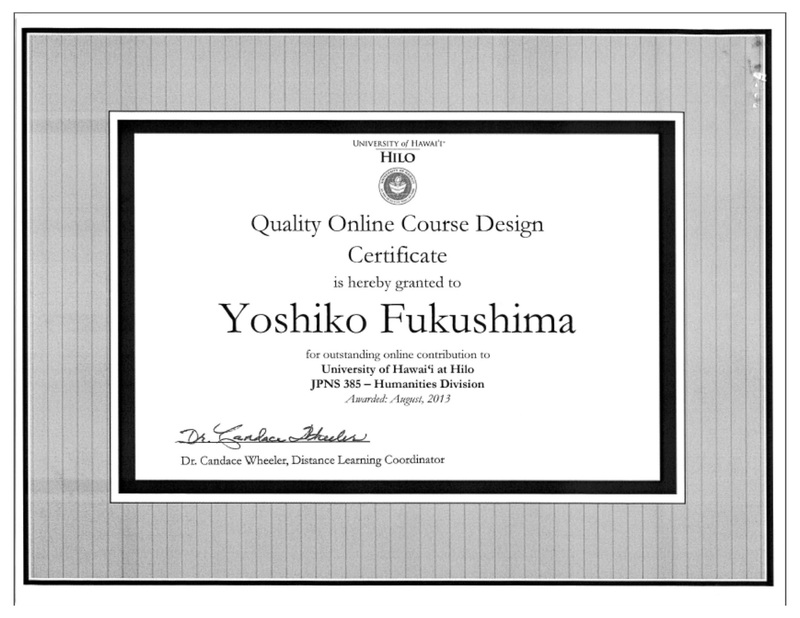 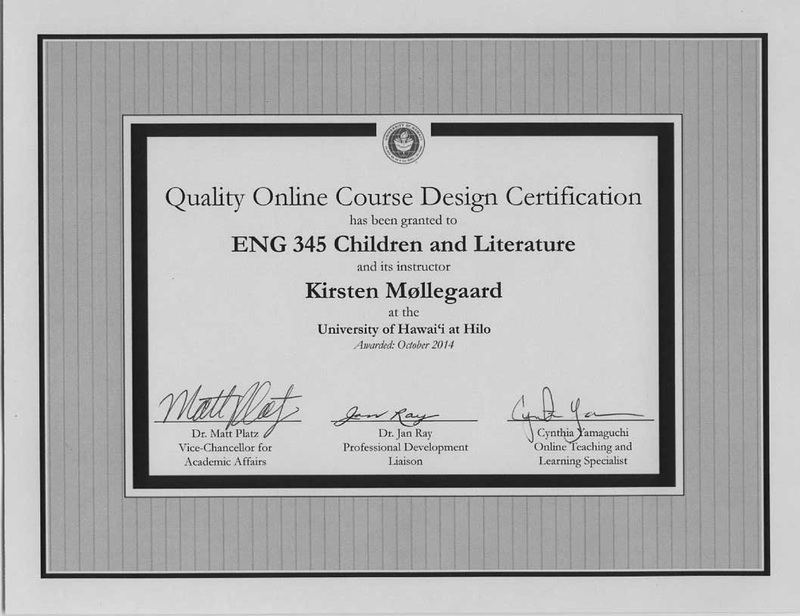 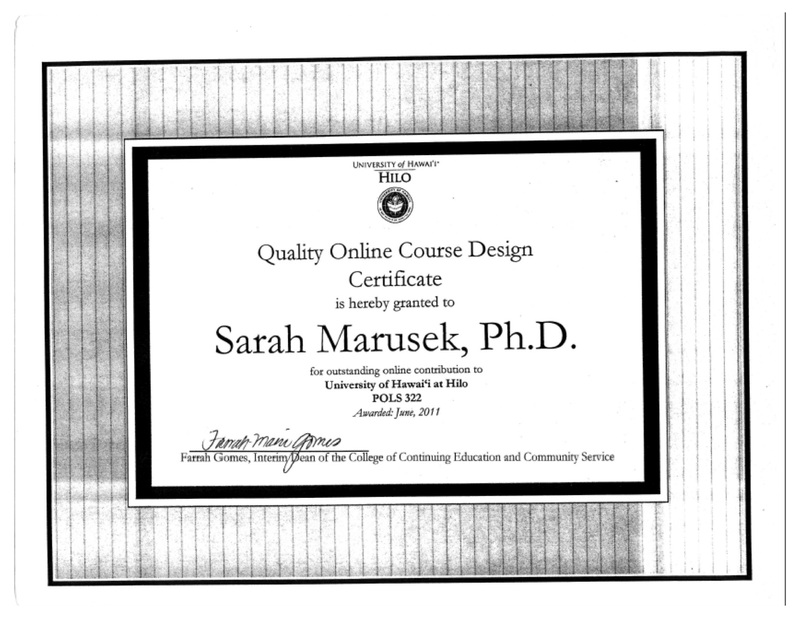 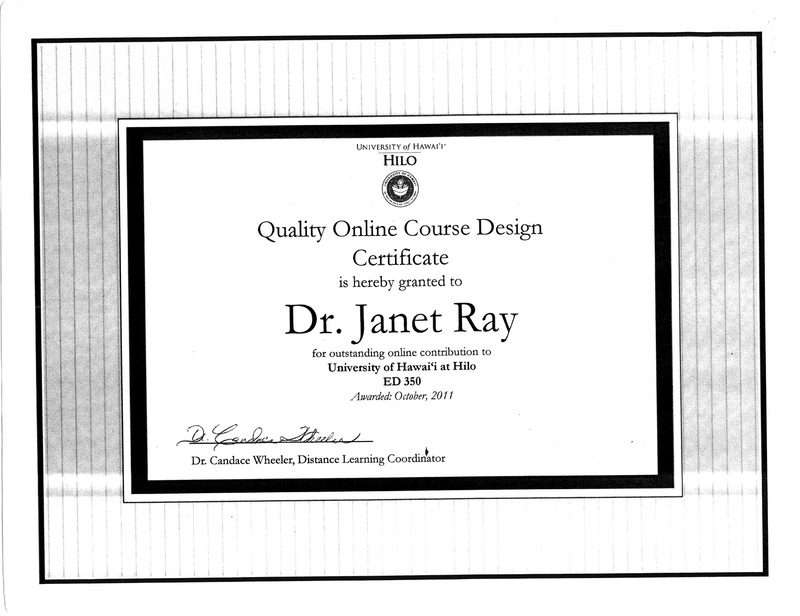 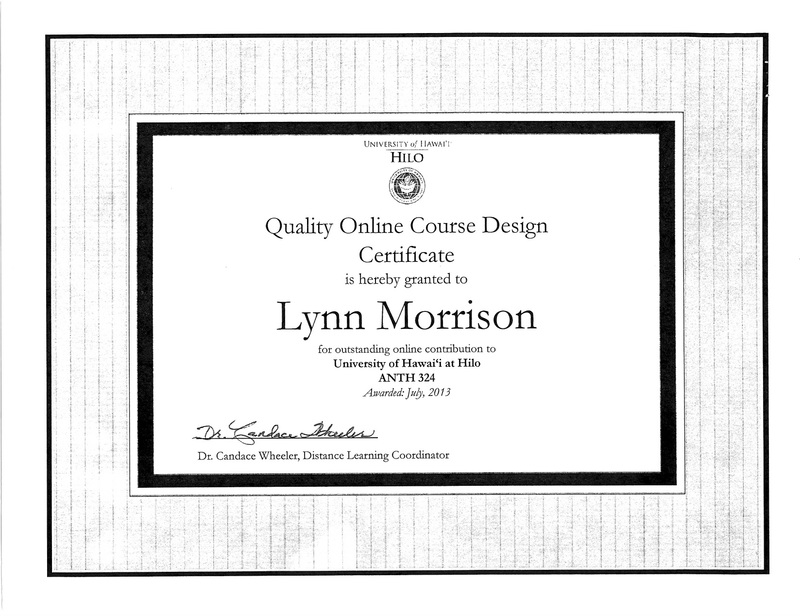 This is being accomplished through the Quality Online Course Design Certification program, a careful and systematic review of an online course using the Quality Online Course Design Guidelines Checklist (Also available as a PDF). 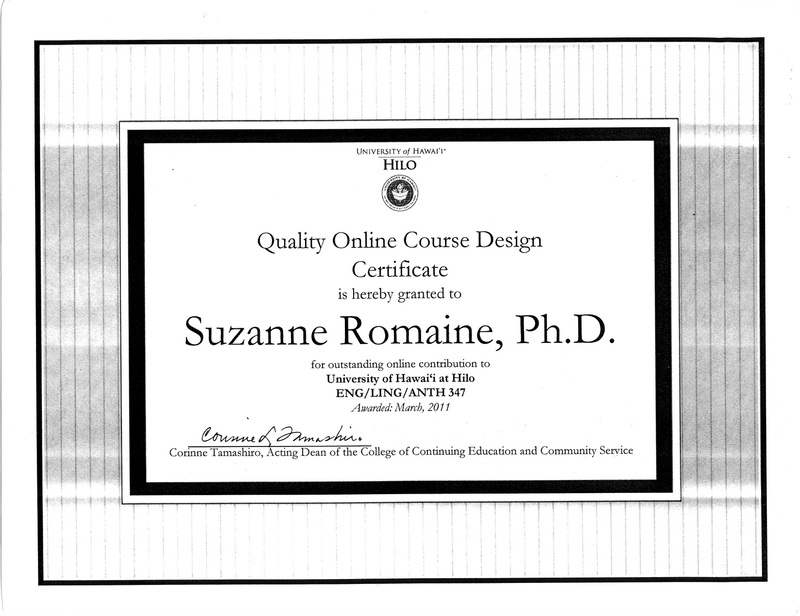 Facilitated by a member of the Online Course Design Team (Cindy Yamaguchi), certification is accomplished through course design and development assistance with the instructor well in advance of first delivery and/or a preparatory review of an online course at the beginning of the semester, a check-up at mid-term, and a final review at the end of the semester. 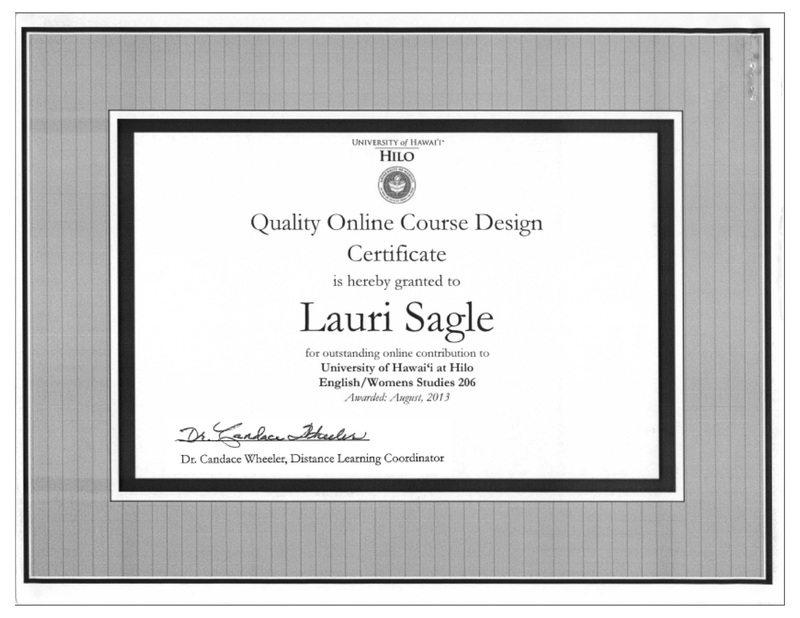 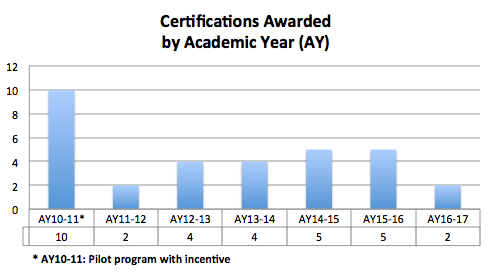 In addition to assuring high quality distance learning courses and programs, another benefit is that faculty completing the certification process found it to be a rewarding experience. 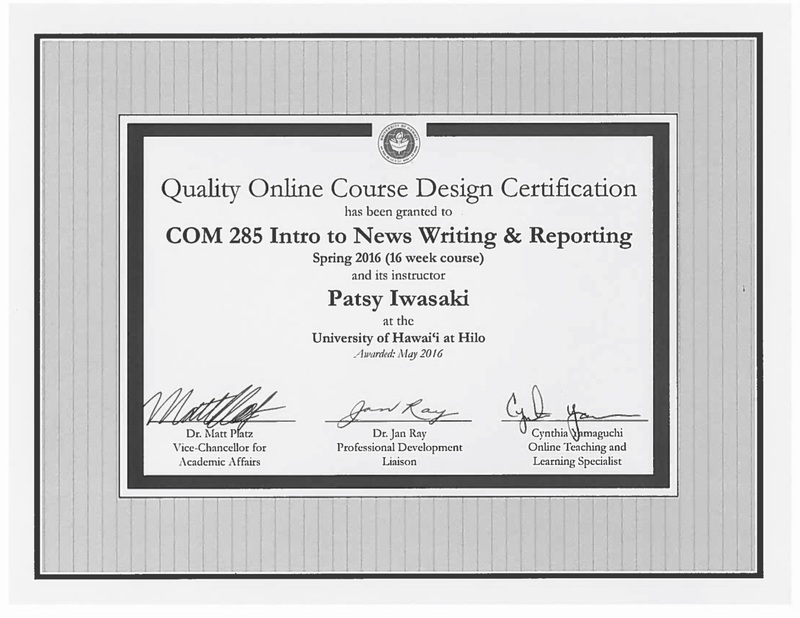 The certificate can also be included in the contract renewal, promotion, and/or tenure dossier.